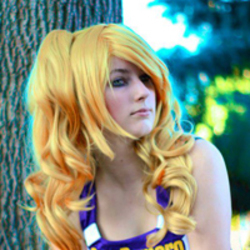 Arila (Jessica Boles) began cosplay in 2009 with her first convention being Anime North. She's known for her portrayals of popular female characters such as Harley Quinn from Batman and Juliet Starling from Lollipop Chainsaw. She attends a good number of the conventions in and around the GTA, and also organizes some small events throughout the year. Much like CosplayCanada she's been bringing fellow cosplayers together. In addition, she has also been advertising and helping small conventions gain a bigger crowd!